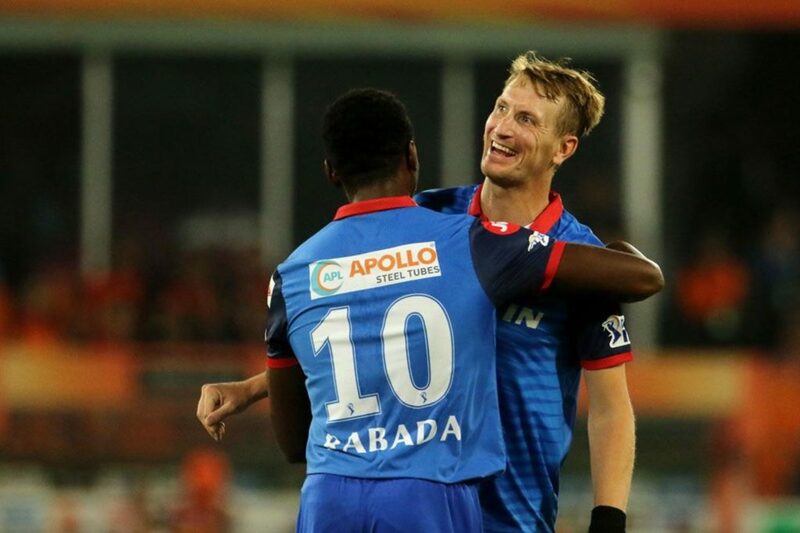 Kagiso Rabada celebrates with Chris Morris (R). The Proteas’ premier fast bowler did it again for the Capitals’ side as his 4-22 in 3.5 overs (5.73 economy) ensured a handsome victory over the faltering Sunrisers outfit at the Rajiv Gandhi International Stadium. 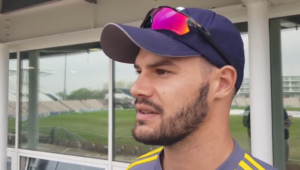 The South African pacer has been in blistering form throughout the IPL 2019 season, and his recent performance saw him extend his lead at the top of the wicket-taking charts. Rabada had South African spinner Imran Tahir breathing down his neck for the purple cap, but the fast bowler pulled away in sensational fashion after his haul in Hyderabad. The World Cup-bound Protea began his onslaught by dismissing the highest run-scorer in the IPL, David Warner, for 51 in the 17th over. He bagged another wicket with the very next delivery to get rid of Vijay Shankar for just one run. Abhishek Sharma survived the hat-trick ball, but soon succumbed to another South African pacer, Chris Morris, in the following over. Morris also had a fantastic day with the ball and walked away with 3-22 in his three overs. The Saffas sealed the win for Delhi in the penultimate over when Rabada picked up the final two wickets of Bhuvneshwar Kumar (2) and Khaleel Ahmed (golden duck) with successive deliveries once again – after having already bagged two catches as well for Player-of-the-Match Keemo Paul (3-17). The IPL continues on Monday when AB de Villiers and Dale Steyn look for their second win of the season when they travel with the Royal Challengers Bangalore to the Wankhede Stadium to take on the Mumbai Indians.